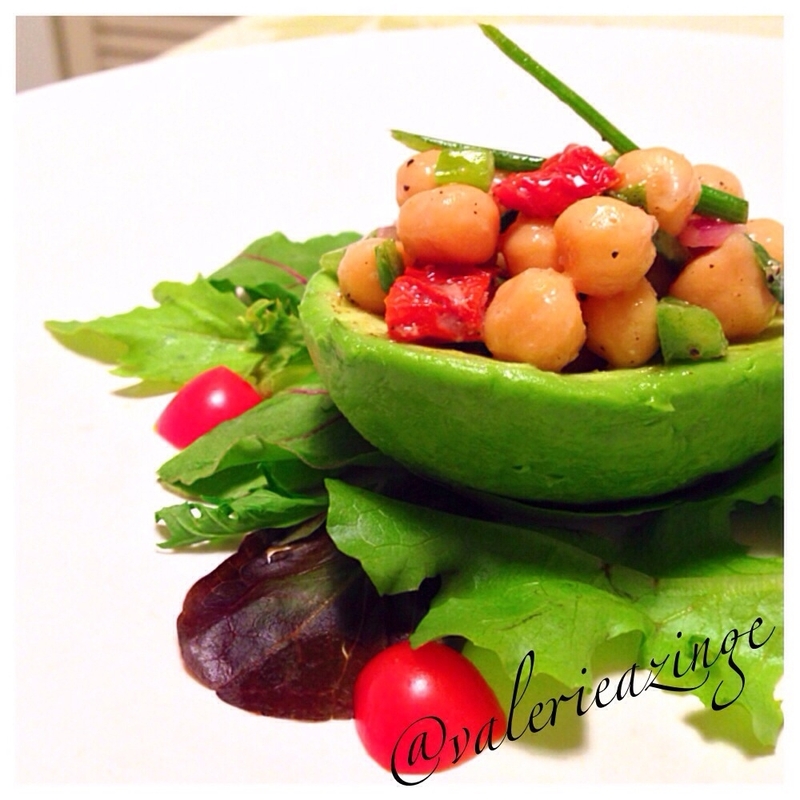 The chickpeas were seasoned with my smokey bear salad dressing, which can be found on my blog! (Type in â€œdressingâ€ in the search bar and youâ€™ll find it). Drain the extra moisture out of the garbanzo beans and place in a bowl. Toss with remaining ingredients. Place beans in the avocado pit circle and enjoy!